We finally reached our destination..The Grand Canyon. There is a reason why it is called Grand. And you can only realize it when you stand in front of the magnanimous structure. Huge, enormous and gigantic..this beautiful structure makes you feel so little. It was the very first sight of the Grand Canyon that made me so emotional that I mumbled a small prayer to God. Thank you God, once again for letting me witness one of the most beautiful creations of Nature. 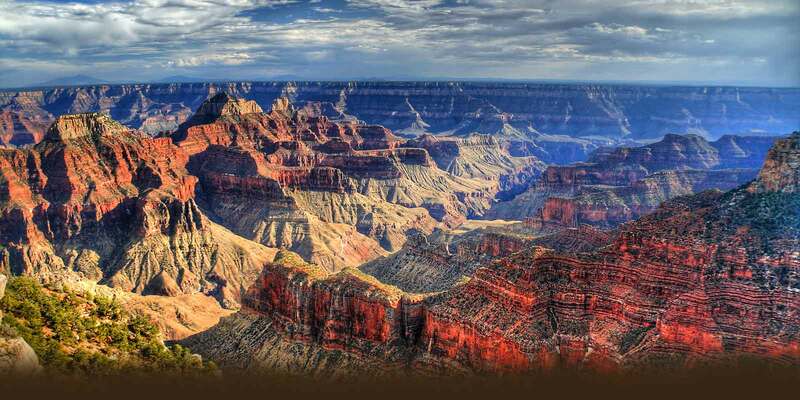 The Grand Canyon was carved by the Colorado river in the state of Arizona almost 17 million years ago. It is more than 6000 feet deep and the entire atmosphere overwhelms you beyond limits. For centuries this place was inhabited by the Native Americans who either built colonies or took shelter in its caves. The Grand Canyon has two rims, the South rim and the North rim. The South rim is open all year round, while the North rim is open from mid May to October. We visited the South rim, since we visited the Grand Canyon in January. The moment I was here, I was possessed by its enormity. As the tour guide spoke about the history of the Grand Canyon and the life of Native Americans here, I wanted to travel back in time and wanted to witness the beauty of the olden days with my own eyes. But only if wishes were horses...! There are two points, that are significant here. The Eagle Point and the Guano Point. The Eagle point gets its name because of its shape, which resembles a huge eagle with its wings wide open, ready to take off. The Eagle point is considered holy by the Hualpuai Indian tribe. In Spanish, Guano literally means excrement of cave dwelling bats. The Guano point was discovered in the 1930's. Read more about it here. The major attraction at the Grand Canyon is the Skywalk. 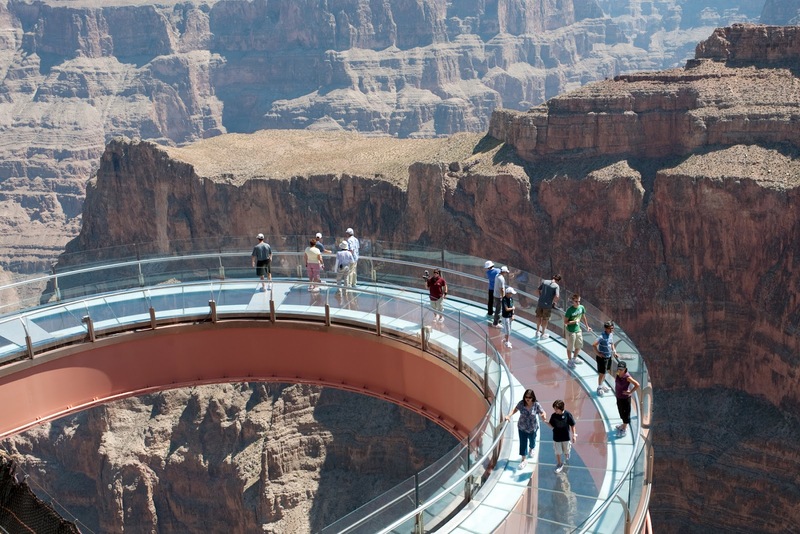 The Skywalk is a transparent horse shoe shaped bridge made from glass built on the edge of a side canyon at an elevation of 4700 feet. It was manufactured and imported from Saint-Gobain Deutsche Glas, Berlin. No cameras are allowed on the Skywalk, but you can purchase a picture clicked by their in-house photographers for $30. Some more pictures of the Grand Grand Structure. I totally enjoyed this post! gorgeous pictures! Hi Aditi! Been a long time! How are you? Thank you so much for your sweet comments on my blog. Sounds like you had a great trip to US/Grand Canyon. The Sky Walk makes me scared yet also fascinated - must be such a great view!